This is so timely for both USA and the UK, and is directly relevant to two scriptures and their current context over the last two days. First, a reader drew my attention to what she’d received and been reminded of on Bob Jones about Wisdom and Psalm 23 (http://www.elijahlist.com/words/display_word.html?ID=8752), then today up popped Hab 2 for my latest post and comments thereto. Therefore, many thanks for bringing this blessing Wanda. We have been praying that God’s Spirit would be poured out on all flesh and that all would see the glory of God. Many believe there is yet a final outpouring of His Spirit that will usher in the greatest harvest ever seen. We have repented, fasted, prayed, and appealed to heaven, longing to see the fullness of this promise. 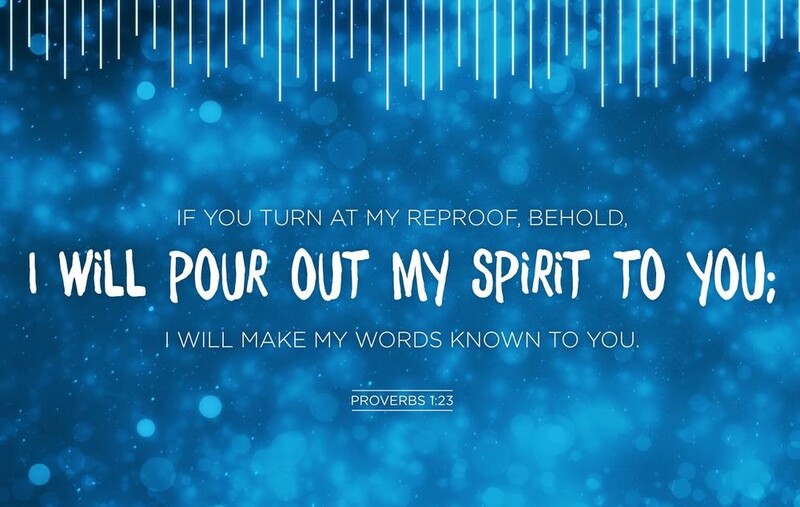 Even as these practices are right and good, in Proverbs 1 there is a hidden truth that may be another key in ushering in this long-awaited revival. This entry was posted in Holy Bible, Prophetic, Revival and tagged Prophecy-today by Richard Barker. Bookmark the permalink.